Thrillingly Thrifty: Iron Crafter Top 10!! I remember back in college I was astounded by the fact that there was an entire TV station dedicated to FOOD. No, I didnt live in a cave before then...we just didnt have cable. And considering how much time my roommate and I spent watching the Food network, I'm glad we didnt have cable - I would have been a hermit! Anyways, one of our favorite shows was Iron Chef America. One of the Iron Chefs would face off against a challenging chef and they would have one hour to use a secret ingredient to make all these courses. The excitement of not knowing what they have to use, and the challenge of using it to create within a short time frame is what hooked me. 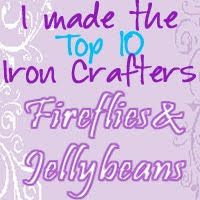 Which is EXACTLY why I'm so hooked on Fireflies and Jellybeans' monthly Iron Crafter competition! I entered my Toddler friendly "Board" game using Paint chips back in August and made the top 10. 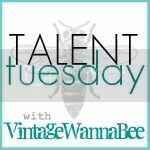 This month's secret ingredient was sweaters, which happens to be my current obsession! I entered my Wool Sweater slippers and guess what...I MADE THE TOP 10!! Now its up to everyone out there who wins this contest...go and vote for your favorite (it doesnt have to be mine although I would LOVE as many votes as possible! 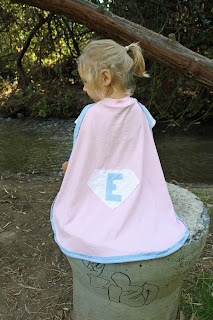 But there are plenty of other cute ideas to choose from). Just click on the link above, and then click on the star underneath the project you want to vote for...you can vote once, and voting closes on Friday.